In Prague 2 there is a great little ‘one stop shop’, by no means the exclusive domain for women. 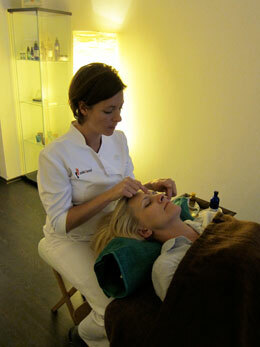 Sole2Soul offer foot and (lesser known) facial reflexology. 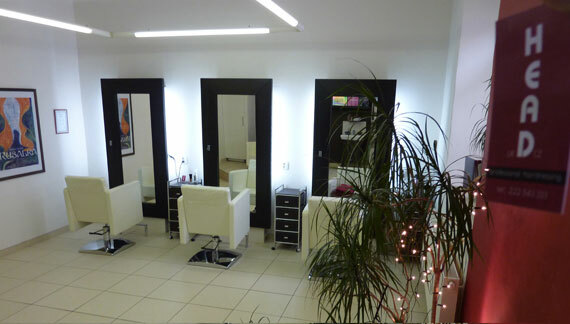 Their treatment room is in Head Hairdressing - a salon with 5 professional stylists for men, women and children plus they now offer spray tans - perfect for special occasions and beach holidays. For Valentines Day read on for a special offer! This friendly salon is always fun to visit, staff are experienced in their professional areas and prices are very reasonable. They also recently announced a new co-worker Berniece of Beauty Reflections Spray Tan, offering a completely safe spray tan service to the pale citizens of Prague wishing to achieve a bronze glow. Spray tanning is offered everywhere in my native country of Australia, I’m surprised that it is not more common here - especially with the popularity of sunbeds - now notoriously linked to skin cancer. 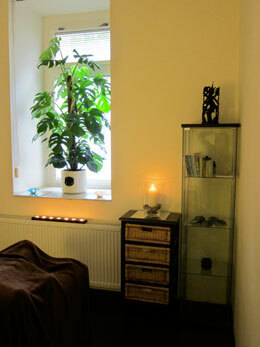 Within the salon is the talented therapist Alison of Sole to Soul who has trained in the UK. Her reflexology sessions offer real health benefits and the facial reflexology sessions cary a bonus ‘beauty’ effect - facial muscles are relaxed increasing plumpness and reducing lines from muscle tension and blood tissues, vessels and nerves are stimulated and skin cells oxygenated to increase blood flow and give you a healthy complexion. I’ve had several session at the salon and I’m always surprised at the results achieved - I always fall asleep - a real feat for me, an occasional insomniac. Even better, my evening sleep afterwards is deep and undisturbed, my energy levels are increased and I have a positive mind for days afterwards. There is something very powerful about this relatively new therapy that is rooted in ancient traditions passed down in Chinese, Vietnamese and South American Mapuche culture. I could go on about the various conditions that this treatment can assist with but you’ll find her website very comprehensive with Q&A, articles and a summary of health benefits. Alison has clients that she sees regularly who find this therapy very beneficial in assisting recovery or alleviating symptoms. The therapy is also beneficial for children, especially those who are hyperactive, stressed or recovering from illness - actually the Sorensen program was initially designed and developed for children. 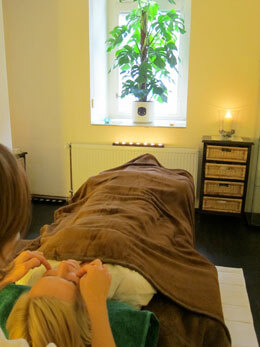 For Valentines Day (which is fast approaching), Sole to Soul is offering a 2 for 1 offer for couples. 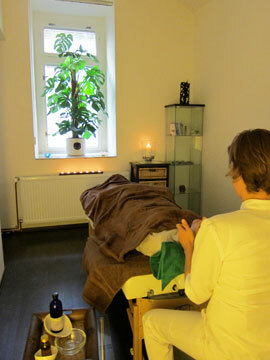 When you book a 60 minute facial reflexology session for 850czk you can book another for your partner absolutely free - nice! Afterwards you can enjoy an evening out over dinner where you can enjoy each other’s fresh, glowing faces! :-) This offer is available till 1st March. 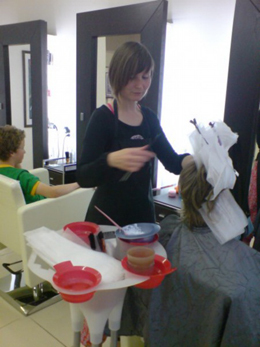 Head Salon has 5 experienced hairdressers on offer. Jonathan opened the salon almost 5 years ago after moving here with his Czech wife. Originally from the UK, Jonathan has over 25 years experience and has even cut the hair of one of my musical heros - Thom Yorke from Radiohead. He is also experienced in cutting Afro, Asian and Oriental hair types. Jonathan is joined by my beautiful hairdresser Dawn from the USA who had a jetset past life as a stylist and educator for GHD and Aveda. Lubos is another talented hairdresser who cuts both mens and womens hair - he was previously at Tribo Hair and Tatoo Studio so you can go as radical as you like with him. Petra has limited English but has much experience and a strong Czech client base. 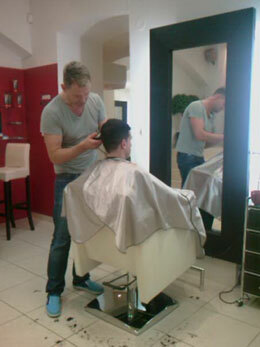 Kraig specialises in mens hair and is a third generation American Barber Hairstylist with 30 years experience. He has even been interviewed by Polish Television about his unique heritage. If you are missing good conversation and service from your current hairdresser then I can recommend these guys, oh and they also cut children’s hair too. It’s so nice to go along and catch up with this fun community of personalities and then leave with a style and colour that you are happy with. DIRECTIONS: By Metro: Take the yellow C line to Karlovo Náměstí and take the Palackého náměstí exit. By Tram: Take tram numbers 3, 4, 10, 14 or 16 to Palackého Náměstí. By Car: There is paid parking in Resslova Street.